2018 CALENDAR: In honour of 10 years of HBR, we’d like this year’s calendar to feature alumni and foster pups! 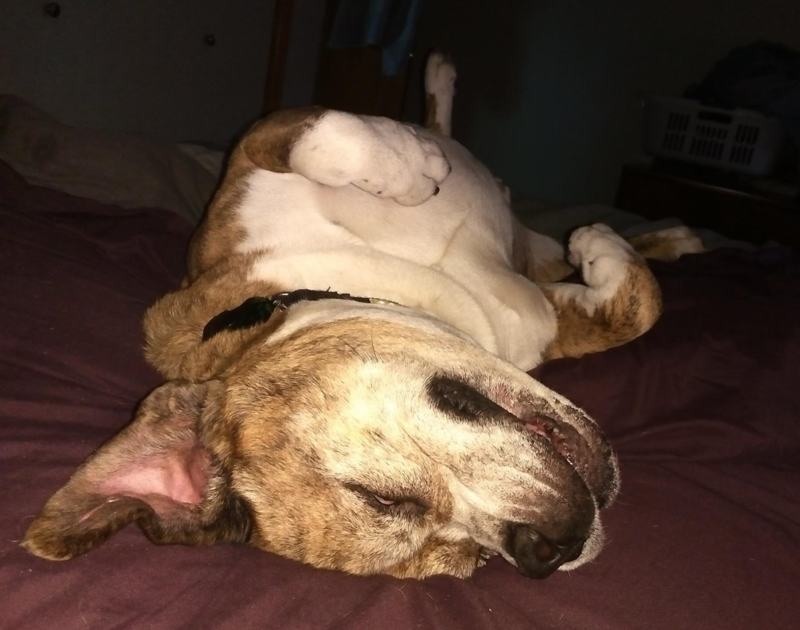 For a $50 donation, you can showcase your dogs for one calendar month. This includes a photo shoot with professional photographer, Rachel Wittenberg and a chance to briefly share your rescue story. Please comment here or email events@homewardboundrescue.ca to express your interest in this opportunity. And, do it now before spots sell out! UPDATE: For those who prefer to provide their own photos, please note that the photo should be greater than 1mb. 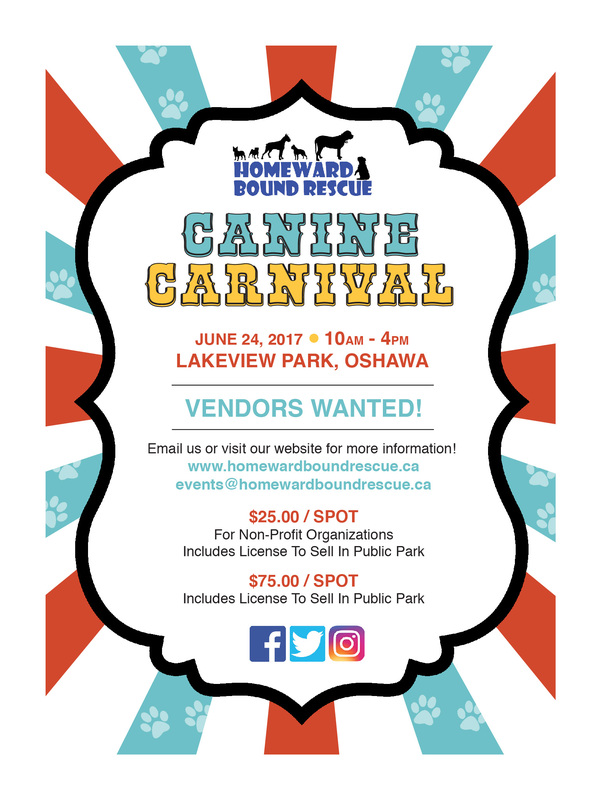 If you (like me) don’t know what that means, please forward to events@homewardboundrescue.ca and we’ll have our designer check it. *Children’s games, Raffles, Bingo and more! 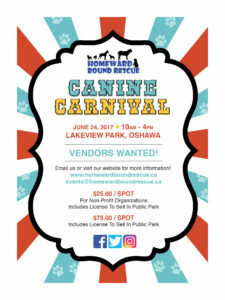 Stay tuned for info on the Canine Carnival 2018! Are you COMING? Join us for a fun-filled – Come find us at our booth.